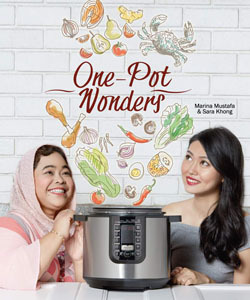 ONE-POT WONDERS is a collection of recipes that offers something for everybody—with a focus on home-made, convenient and healthy meals. These recipes feature a variety of foods—beef, chicken, seafood and beans—and include a balanced mix of heavy and light meals. To demonstrate the versatility of the PHILIPS All-In-One Cooker, we have included common everyday dishes alongside extraordinary creations that are easy to make at home. Using the slow-cooker mode, we can bring out layers of flavours from all the ingredients in our soups, noodles, meat dishes and desserts. With the pressure-cooker mode, we show how convenient it is to cook with this appliance. Lastly, depending on limitations in preparation time or the need to extend or speed up the cooking process, we also present some dishes that can be cooked easily using either of these two functions. 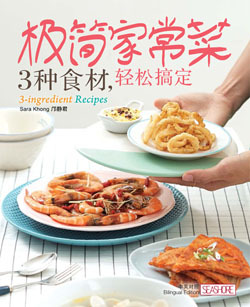 From kitchen organisation, food storage guidelines and selection of kitchen tools, utensils and appliances to tips on picking quick-to-prepare dishes and cooking them faster, let Sara Khong show you how you can whip up a dish – a full meal, even – within thirty minutes. Pick from one of the many featured Malaysian hawker-stall staples such as wantan mee, nasi lemak, Portuguese grilled fish and BBQ chicken wings; then pair it up with a sago gula Melaka or sweet potato soup and drinks such as teh tarik and chrysanthemum tea. Eating at home has never been so quick and easy. Urbanites are often left with very little time and energy to cook after a full day’s work. However, constantly neglecting to eat well will adversely affect our health and deplete our energy. It is important to eat nutritious home-cooked food especially if we are overworked. Despite our busy lifestyles, Sara believes that we can find time to cook nourishing meals for ourselves and our family. Prepare delicious dishes that require only three main ingredients (and some basic condiments that you already have in your pantry). 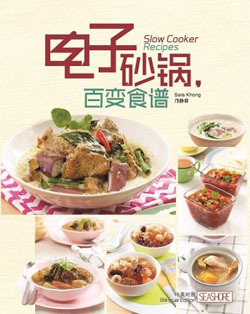 This book contains 50 slow cooker recipes including soups, congee, noodles, rice, cakes, sweet soup (tong shui), and meat dishes.